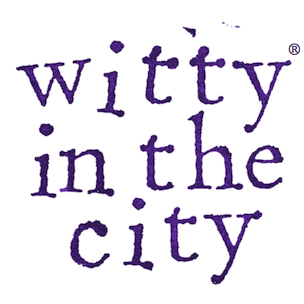 To make pizza dough, sprinkle 1 packet of active dry yeast over 3/4 cup of warm water in the bowl of a stand mixer. 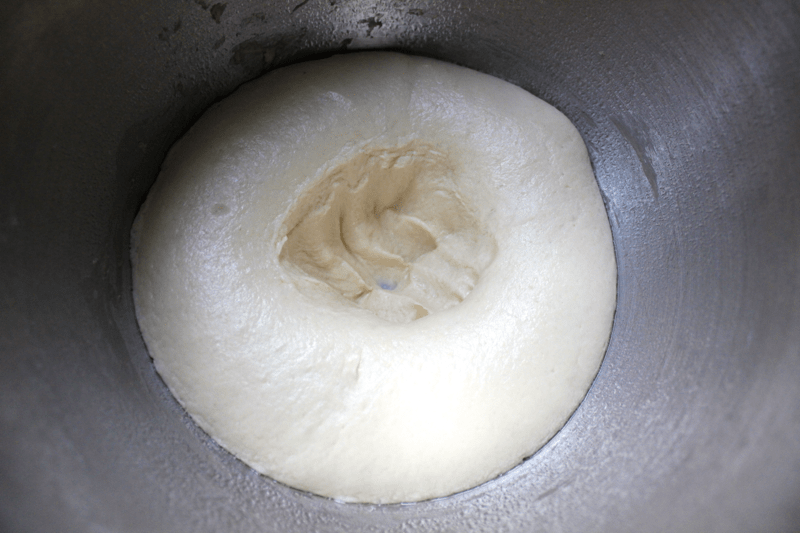 You can also make this pizza dough in a food processor, but be careful removing the dough from the blades! Once the yeast particles have sort of dissolved and lost their individual shapes (if the yeast doesn’t react like this, toss it and start with a new packet), add 1 tablespoon of olive oil, 1/2 cup of flour, and 1 teaspoon of salt to the bowl. Turn the mixer on (using the paddle attachment), and continue adding 1/2 cup of flour at a time until the dough forms a ball and pulls away from the sides of the bowl (it will usually take about 2 cups total). You might have to increase the mixer’s speed to get the dough to completely pull away. 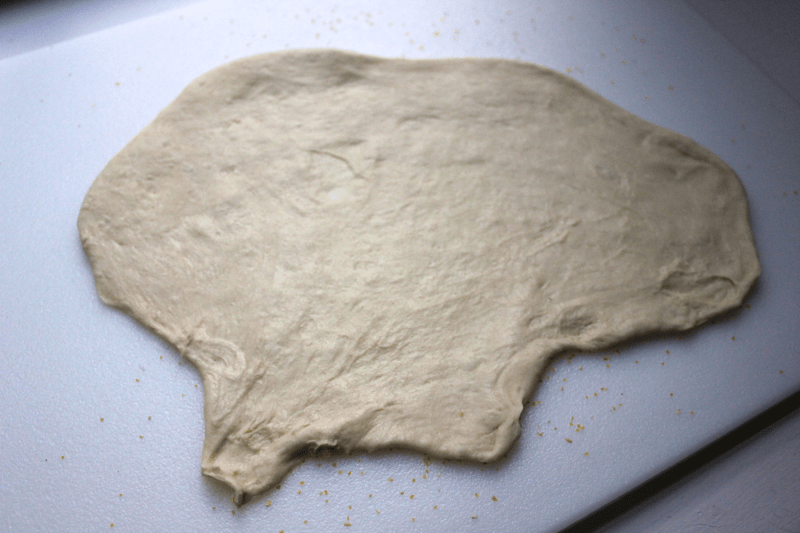 Turn the dough out onto a floured surface, and knead it very well for as long as you can. 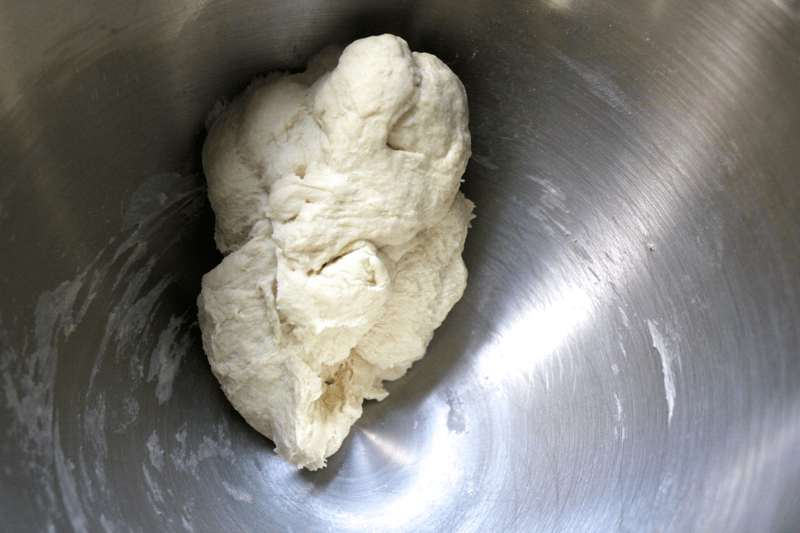 The kneading process will create gluten strands that will give your dough a great texture. 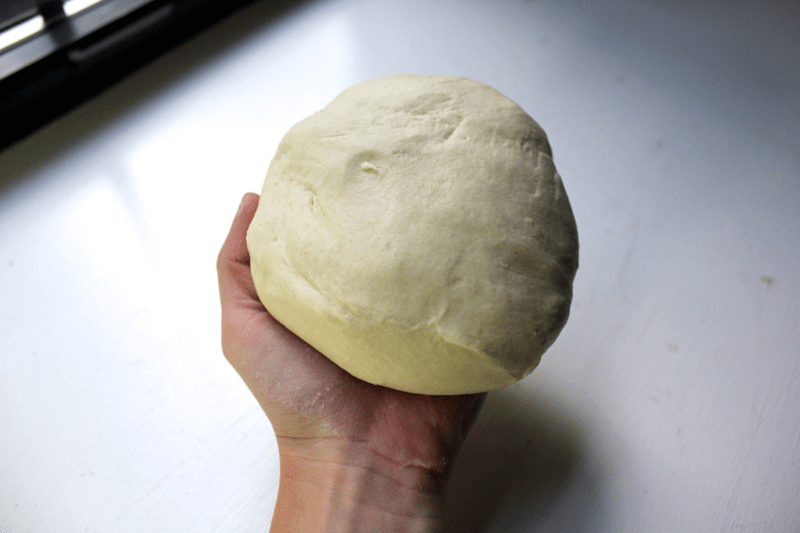 Knead until your arms can’t take it anymore- about 10 minutes! Don’t worry, you’ll make up all of those burned calories with the delicious pizza you’re about to eat The dough should be nice and elastic. 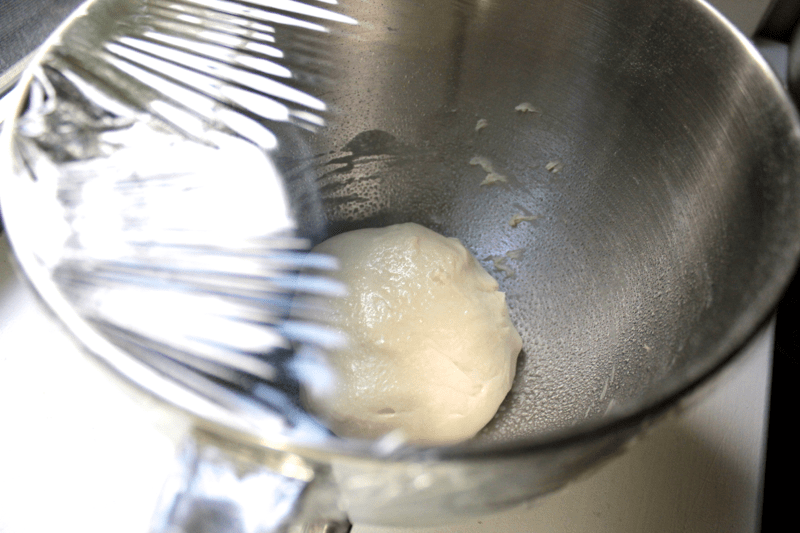 Transfer the dough to a greased bowl, cover it with plastic wrap, and set the bowl in a warm place for the dough to rise. My oven has a convenient bread proofing option, which sets the temperature to 100º F. If your oven can go on that low, use it! It’s the perfect temperature to get the dough to rise efficiently. After the dough has doubled in size, about 40 minutes to 1 hour, punch it down. Knead the dough a few times, then transfer it to a floured surface, and use the dough however you like.